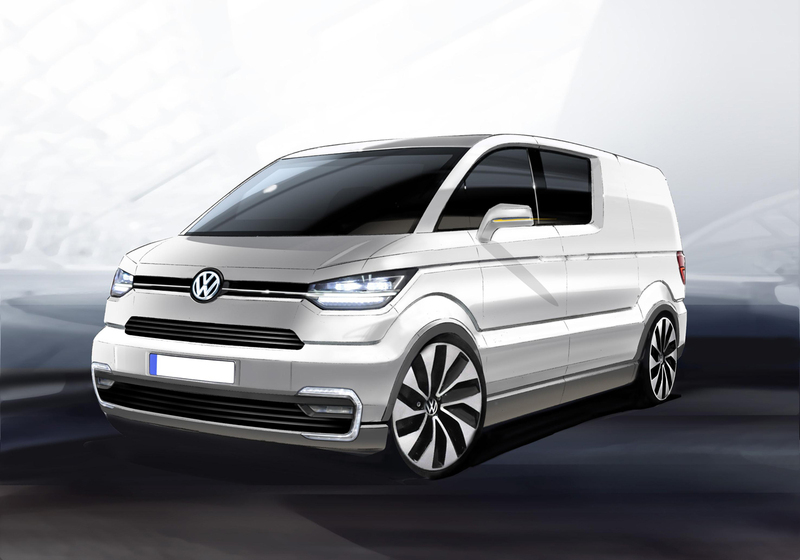 At the Geneva International Motor Show, Volkswagen Commercial Vehicles will be showing a transporter concept vehicle: the e-Co-Motion. Despite its large cargo capacity it is compact and manoeuvrable. Eight hundred kilograms of payload, yet zero emissions on the road thanks to an electric drive system. Exclusively conceptualised with an electric drive, the e-Co-Motion offers many user-relevant vehicle properties: high manoeuvrability with a small vehicle footprint, very good visibility and seating ergonomics with easy entry, exit and walk-through. A low cargo floor height and large cargo capacity make loading easier. Fully independent of existing models, the exterior of the e-Co-Motion appeals with its ability to unify what at first appear to be contradictory development specifications: maximum space on a minimal vehicle footprint. From a length of just 4.55 m (width: 1.90 m, height: 1.96 m) the concept vehicle offers a maximum cargo capacity of 4.6 m3 and an impressive 800 kg of payload. This was enabled by clear partitioning of the vehicle body into a lower driving-relevant zone containing an underfloor drive unit, battery and gearbox; and an upper superstructure that is relevant to delivery tasks. This generates ideal conditions for maximum space utilisation, and all sorts of body versions and customer solutions are imaginable. Whether it is a driver's cab in front of a cargo box, as in the concept vehicle, or a passenger shuttle, low platform or refrigerated box: the customer decides.